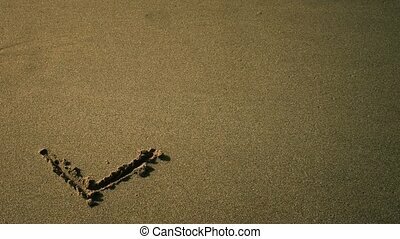 A wave washes away the word bali written in the sand. 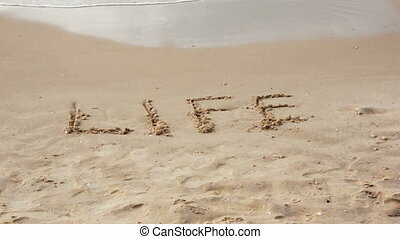 Wave washes the word life written on sand on the shore. 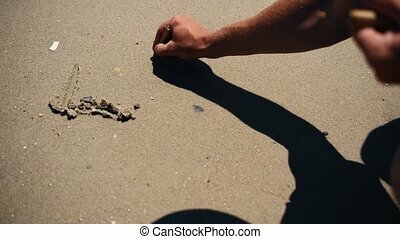 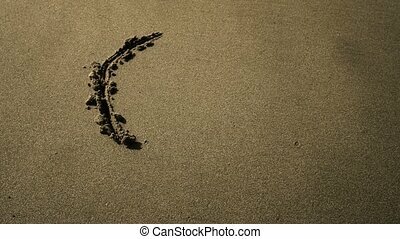 A peace symbol is drawn in the sand and then washed away by an ocean wave. 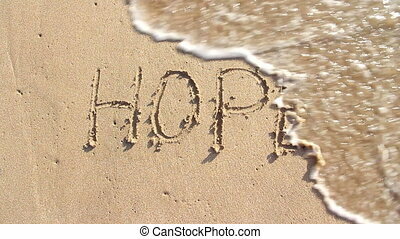 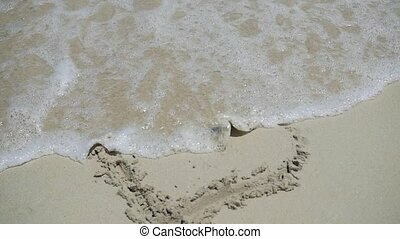 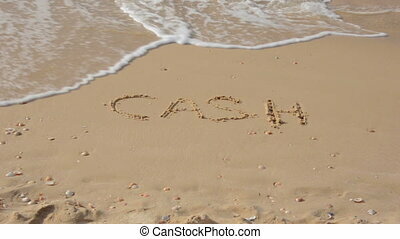 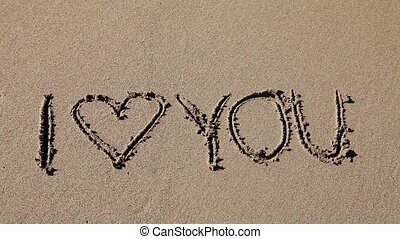 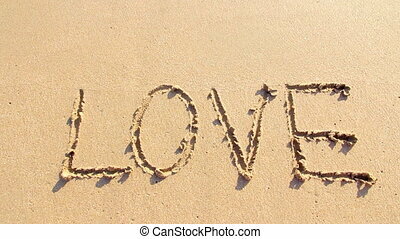 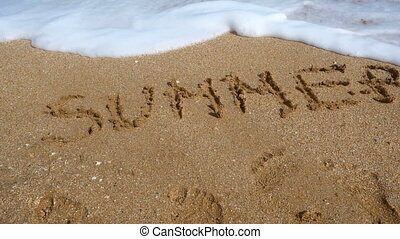 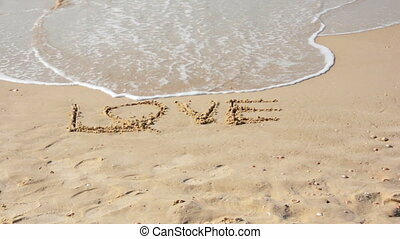 The word \\\'love\\\' is drawn in the sand and then washed away by an ocean wave. 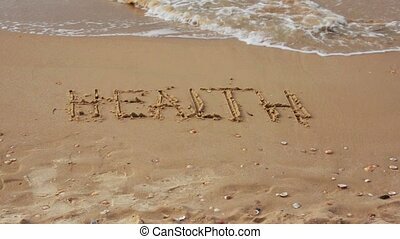 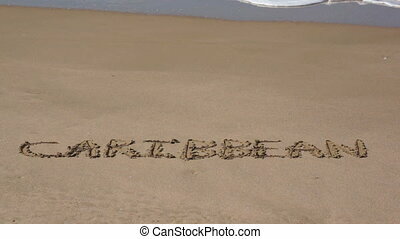 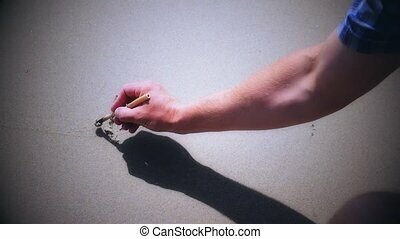 The word of the popular vacation destination the Caribbean written in the sand with a wave coming up on the shore next to it. 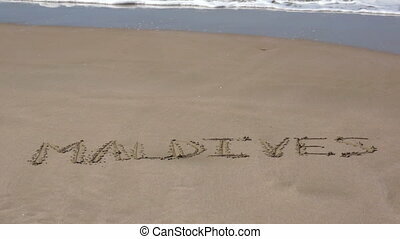 The word of the popular vacation destination the Maldives written in the sand with a wave coming up on the shore next to it.